Bath salts have many benefits it not only looking beautiful and smelling great, but also you’ll feel the difference in your skin, your mood, and more just after using bath salts. 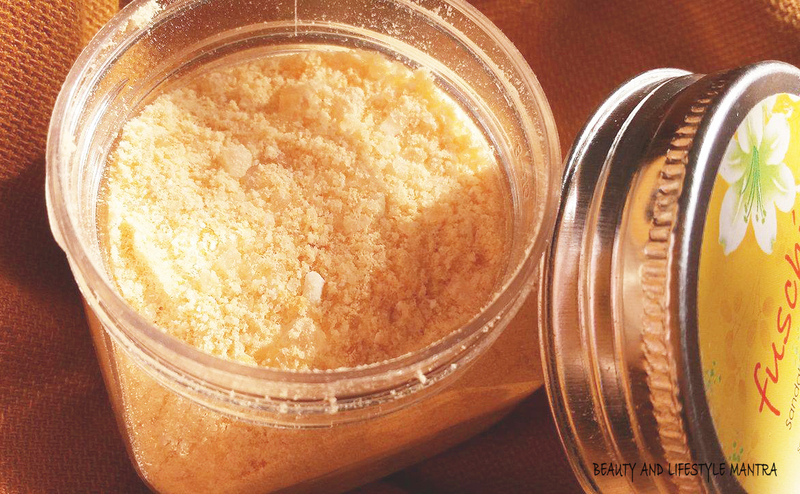 The bath salt contains different types of minerals and nutrients that help to maintain our skin quality. Bath salts help also detoxify our skin too. Bath salts have many other uses that you can enjoy without any side effects. 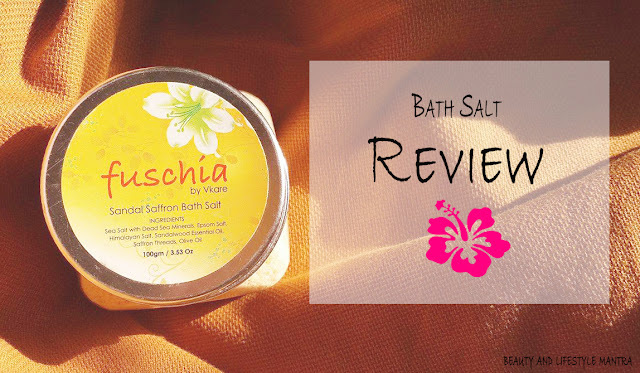 Today I will share my experience about Fuschia Sandal Saffron Bath Salt, with you. Let's get the details about the Fuschia Sandal Saffron Bath Salt. It helps relax sore muscles, eliminate body aches and pains in joints and muscles. Relieves Stress. Rejuvenates Skin by removing Dead Skin Cells. Leaves skin revived, comfortable & healthy looking. A detoxifying delicately scented bath salt. Provides Warm, intense, rich aroma. Turns an ordinary bath into a relaxing and fragrant retreat. Contains mineral-rich sea salt to reduce fluid retention & promote circulation, Blended with Epsom salt that detoxifies by drawing impurities from the skin. There is nothing better than a relaxing hot bath when you are exhausted, tried from your household work and also if you have a baby like me who is nonstop doing something all day long. 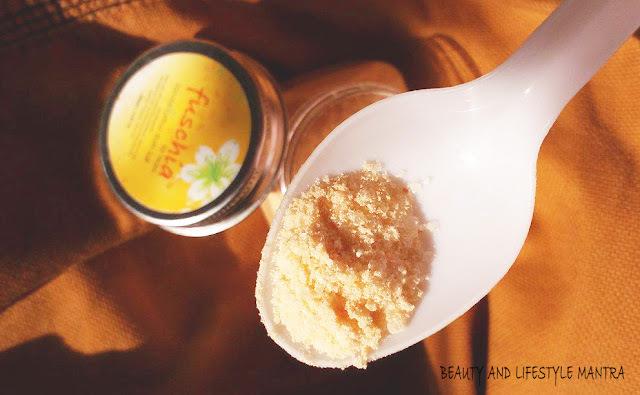 At least for me, after a stressful day, I need a good shower at night for a good sleep and this Fuschia Sandal Saffron Bath Salt helps me feel relaxed and calm. Fuschia Lavender Sandal Saffron Bath Salt comes in a transparent plastic tub with a silver screw cap lid. It contents 100g product inside. Due to the size and tight cap, it can be easily carried around in a bag. The bath salt looks very soothing, slightly sandalwood color with amazing fragrance. I like the smell very much. There is no harsh smell from unnecessary chemicals. When you open the lid the whole of the bathroom or your room is filled by the pleasant aroma. The fragrance creates a heavenly atmosphere. If you are feeling tired or exhausted, the aroma will make you feel better in a while. Sandal Saffron - Sandalwood oil creates a calming & harmonizing effect on your mind. I am using the Sandal Saffron Bath Salt for 3 different purposes. To use, I just add 4 to 5 tsp into a bucket of warm bath water. Then I stir the water with my hands to make sure the salt dissolves and the other ingredients mix. The salts dissolved quickly and easily. To use as body scrub, I take 1 tsp bath salt into my palm and diretly apply on my wet skin, massage it in circular motion and rinse with warm water. There were no specifications how long you should leave the bath salt on your body, but five minutes might be ideal. I did not use it on my face. To use, I add 3 tbs bath salt into 1.5 to 2 litter warm water. I love using them when I'm feeling stressed. The smell is great and it helps me relax during my bath. After I got out of the bath, my skin felt extra smooth and soft. The Saffron - Sandalwood oil scent lingers for quite long on my skin but that not overpowering so it shouldn't bother you. I am sure you love the aroma and feeling relaxed. When I use it as a body scrub, it helps in removing my dead cells very well. Bath salt comes in a powder form with some quite big salt partials but those are not harsh on the skin. On the other hands, the presence of effective like saffron additionally lightens and tones your skin. As feet soak in warm water also helps to soften the accumulation dead skin cells. It also helps to get rid of annoying foot odor. The biggest change is that they really do help me to sleep better. Overall, Fuschia Sandal Saffron Bath Salt is a very impressive Bath Salt. It does a great job on making my skin feel very clean, soft, moisturized. It definitely relaxes achy muscles after a good soak. These salts are very quick to dissolve and smell wonderful that lingers on your skin for few hours.I recommend apply it twice a week as maintenance and believe me you will not regret on it. This is perfect to put in your bath and beauty regime. 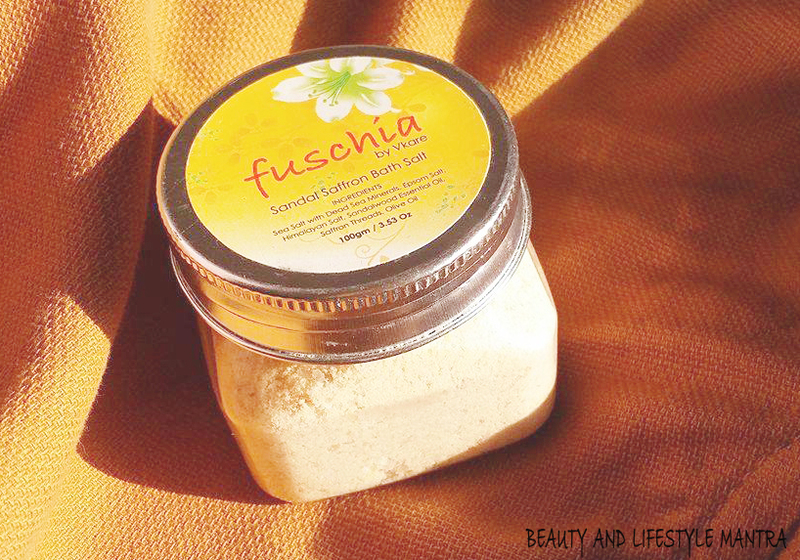 Did you try some of the Fuschia Bath Salts? What are your thoughts? Any other Indian bath salt product recommendations for me? I feel that it meant for mommies. He he ,anyway lovey post. Sandal and Saffron give such a Royal feel. I can smell the fragrance already. This looks like a good product to use for taking bath and to keep the skin fresh. I will give it a try. Thanks for your lovely review.